Read our Bespoke Design Case Studies to find out more about how others used our Custom Couples service to create their matching wedding bands. Or have a browse through our jewellery inspiration galleries. 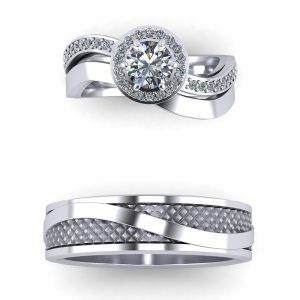 It's easy-- simply asking for a Custom Couples Wedding Rings Set when you request your consultation.